I’m not sure what specifically that would be, but I assume there’s some kind of science behind this amazing, and possibly modern method I happened to stumble upon. I once saw a chef make hollandaise buy adding chucks of cold butter instead of whisking in hot melted butter, and it intrigued me. The post Flour Bakery’s Famous Banana Bread appeared first on i am a food blog. I’m so sorry. I started the week so healthily with vegan lentil meatballs and just two days later, before the week’s even over, I’ve ended up at this. 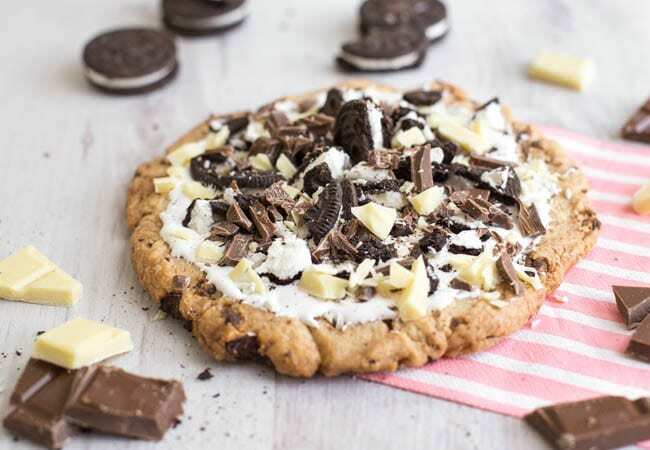 This ridiculous, delicious cookies and cream dessert pizza (if ‘dessert pizza’ isn’t one of the best two word phrases in the English language, I don’t know what is). I don’t generally have a sweet tooth and I rarely crave sugar… but when I do make dessert, I go all out. Otherwise what’s the point? What’s your go-to 15-minute make-it-from-what’s-in-the-fridge recipe? Mine is a quesadilla. Any kind of quesadilla. You’ll always find tortillas and cheese in my fridge. It’s my PB&J. The great thing about quesadillas? They’re so easy to dress up! Whether it’s with chicken and apples, mushrooms, green chiles, or in this case, kimchi—spicy Korean pickled cabbage. I’m a complete and utter cheapskate. It’s not that I can’t afford nice things, I’d just prefer to pay off my mortgage than wear designer shoes. Boring it may be, but I’d rather have a house than pretty things on my feet. The first of two photo essays for the Meals on Wheels Star Chefs and Vintners Gala fundraiser of 2016. I actually can’t remember a time that pizza has been this good. I mean, bad pizza is very rare in the first place – I can only think of one time when I’ve had bad pizza, and that was a £1 cardboard-based pizza from the corner shop with a ‘cheese flavoured topping’ (err no, I’m not quite sure what I was thinking either…). Generally, all pizza is good pizza. But this. This spicy butternut squash pizza with crispy kale. This was something else. The post Honolulu Eats 2016 appeared first on i am a food blog. The post Maui 2016 appeared first on i am a food blog. If you’re like me, and marmalade is not your favorite type of fruit preserve, it’s most likely because of those bitter flavors from the white parts of whatever type of citrus was used. That is not an issue with this gorgeous kumquat marmalade. The secret here is using a type of citrus that doesn’t really have any of those pithy parts, which is why kumquats are the only citrus I know of that you eat whole, skin and all. If you are going to enjoy au naturel, make sure you roll them first, to release all that sweet, fragrant oil. Hi everyone! I am thrilled to announce that Simply Recipes is joining forces with Fexy Media, the company behind Serious Eats and Roadfood! 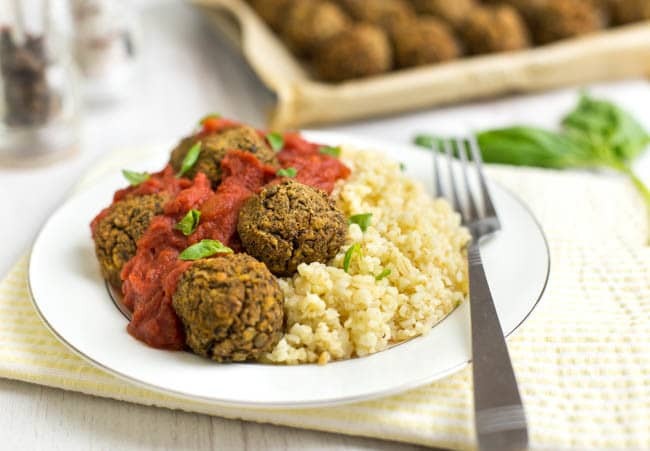 When Fexy Media first approached me last fall with the idea that they would be interested in buying Simply Recipes I was intrigued. Over the last 13 years I’ve poured my heart into this site, writing stories about my family and friends, sharing favorite family recipes and developing new recipes that I hoped you, our readers would enjoy. If you know anything about the sushi world in Vancouver, you’ve probably heard of Hidekazu Tojo. He’s kind of a big dill (food pun!) around here, or at least he was before sushi became just as ubiquitous as burgers and fries…. The post Mini California Sushi Cones appeared first on i am a food blog. Move over lasagna, make way for stuffed shells! There’s something whimsically satisfying about stuffed pasta shells. Is it the shape that conjures up a sunny day at the beach with ocean surf turning over pebbles and shells as the waves retreat? Or is it the seasoned ricotta stuffing hiding inside?